This year has been an extremely busy one for me. My main focus at church has been on running a year-long leadership training course, and I’ve also been creating a lot of online technical training content. In fact, the opportunity to do this has been one of our family’s biggest answers to prayer this year, as it has provided the additional finance we needed to send our son to the King’s School, a local Christian school. I’d heard a lot of good things about this book, and read it as part of my preparation for a talk on worldview. It’s a fairly substantial volume, and one of the main focuses of the book is to demolish the “fact-value” dichotomy. This is where Christians succumb to the idea that their beliefs are just “private beliefs”, and to be kept out of the public arena in which everything is based on “fact”, with God not allowed into the debate. The mistake lies in thinking there is such a thing as theories that are unbiased or neutral, unaffected by any religious and philosophical assumptions. She explores this in a number of different ways, and I found particularly interesting the sections on the ways Christian thinking has been shaped by culture through history. One of the biggest areas in which the “fact-value” battle is fought is in the Creation vs Evolution debate. A Christian worldview starts with a God who creates, and a Darwinian worldview starts with matter. This will doubtless be one of the most contentious parts of the book, and she argues for an Intelligent Design position. What I think is undeniable is the fact that evolution itself has become inextricably intertwined in popular thinking with a materialistic worldview that excludes God. She repeatedly challenges Christians to stop thinking that the Bible has nothing to say about how we conduct our businesses (the “sacred/secular” divide). She highlights how even many Christian organisations have adopted business practices that run completely counter to the values of the Bible. One of the most interesting chapters is entitled “How women started the culture war”, and contains fascinating information about how women and men’s roles developed, as men’s work increasingly took them away from the family. Overall, this is an excellent exploration of a subject that has been badly neglected by many Christians. Lots of food for thought in here. The best way to drive out a bad worldview is by offering a good one, and Christians need to move beyond criticizing culture to creating culture. That is the task God originally created humans to do, and in the process of sanctification we are meant to recover that task. Whether we work with our brains or with our hands, whether we are analytical or artistic, whether we work with people or with things, in every calling we are culture-creators, offering up our work as service to God. We may do a great job of arguing that Christianity is total truth, but others will not find our message persuasive unless we give a visible demonstration of that truth in action. Outsiders must be able to see for themselves, in the day-to-day pattern of our lives, that we do not treat Christianity as just a private retreat, a comfort blanket, a castle of fairy-tale beliefs that merely make us feel better. We can go so far as to say that if Christians win their battles by worldly methods, then they have really lost. Kevin DeYoung is an author I’ve been meaning to read for some time, and I picked this one up when Amazon Kindle were doing a special offer. He has a good writing style, humble and humorous, and he is careful to back up everything he says with plenty of scriptural references. In this short book on holiness puts the Bible’s call to holiness into the context of the gospel of grace, and in my opinion does a great job of avoiding the pitfalls of legalism on one side of the road, and antinomianism on the other. This is essentially an introductory textbook on hermeneutics, and it does a good job covering all the main bases, and is well-written. I did have a couple of criticisms though. First, the general assumption is that the main thing we are trying to do is extract some timeless principles. I agree that those can be found in the Bible and good hermeneutics will help us to correctly identify them. But this approach ends up downplaying the significance of the metanarrative of Scripture, and views it almost as an inconvenience that we were given these principles in story form. Second, I would have preferred a more Christological approach to the Old Testament. Often evangelical hermeneutics can set up so many “rules” that whenever the New Testament authors see Christ in the Old Testament, they have to be granted a special permit to “break” the usual rules. But what if they are modelling how hermeneutics ought to be done? What if we are really supposed to see Christ in all the Scriptures? I didn’t quite finish the book, so maybe these two concerns are addressed in more detail before the end. But those two concerns aside, this is actually a very helpful and well-presented guide to interpreting the Bible. Readers must be prepared to have their values and beliefs called into question by the text. If they are not, they will grasp the Bible in the wrong way, twisting its words so that they conform to what we want them to say. We do not create meaning out of a text; rather, we seek to find the meaning that is already there. My good friend Chris Haines released his first album But God back in 2011, and I you had a chance to hear it, you’ll be pleased to hear that the eagerly anticipated follow-on album was released earlier this year. 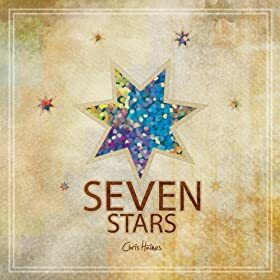 In Seven Stars, Chris takes his considerable talent as a singer, songwriter and musician, and treats us to another collection of thoughtful and deep songs, all beautifully arranged. Augustine’s Song is lyrically one of the richest songs on the album, drawing from the thought of Augustine, backed by lovely guitar work. Lost and Broken showcases Chris’ talent for layered harmonies, and Agape is a intimate love song. Overall, I would say that this is another top album from Chris, with the quality of arrangements particularly impressive. They move effortlessly between waves of peacefulness and intensity, making the listening experience both relaxing and inspiring. Why not treat yourself or a friend to a copy for Christmas? From its title, you might expect that this is simply another book aimed at helping the ordinary Christian get to grips with the sometimes perplexing doctrine of the Trinity. But its scope is much wider than this. The subtitle reveals more: “An introduction to theology with the help of the Church Fathers”. Essentially in the 237 pages of this book, Fairbairn intends to give us a basic systematic theology, but instead of the approach you might be familiar with from the likes of Wayne Grudem, the subject is tackled through the perspective of the church Fathers, and in particular, their strongly Trinitarian emphasis. He begins by arguing that the heart of Christianity is the Son’s relationship to the Father. He bases this on an exploration of Jesus’ words in John 13-17. Throughout the book, he regularly includes quotes from Cyril of Alexandria, Athanasius, Irenaeus and Augustine. Some of their sayings are hard to get to grips with but Fairburn is good at clarifying what they are driving at. He makes an interesting point about the unity that Jesus prays for in John 17. Believers are to share the same unity that Jesus shares with his Father. This is referring to a unity of love rather than a unity of substance. The emphasis of the church fathers was more on the three than the one, whereas for many of us it tends to be the other way round. This is of course not tritheism – “God possesses both a unity of substance and a unity of fellowship”. “One cannot speak of love and relationship unless one is speaking of distinct persons, so the distinctions between the persons are indicative of who God as always been, from all eternity”. Having laid these Trinitarian foundations, Fairbairn sets out on telling the big story of salvation, starting with life how it was meant to be, followed by the fall, the promise, the incarnation, redemption, becoming Christian, and then being Christian. Each of these familiar sections of the story are seen in a fresh light through this trinitarian lens. The first of these sections includes a fascinating discussion on the common human desire for “significance”, and how this is found in relationship with God. “Christianity teaches us that our significance does not ultimately lie in what we accomplish or what we do; it lies in the one to whom we belong”. The chapter on sin and the fall is also very helpful. The heart of the human problem is the loss of relationship with God – Adam and Eve wanted to be gods without God, when the irony was that they were already “gods” in the most important sense in that they were sharing in the divine relationship. I found the chapter on “the promise” particularly interesting, as he notes the way the church fathers would make what seem far-fetched exegetical leaps in order to find Christ throughout the Old Testament. This is often dismissed as “eisegesis”, a reading into the text what you want to find, rather than reading out what is already there. But while not affirming all their conclusions, Fairbairn provocatively asks whether they have a sounder basis to their hermeneutics than we evangelicals do. The church fathers took for granted that the Scriptures were Spirit inspired, and since the New Testament makes clear that Christ is to be found in all the Old Testament Scriptures, they had good justification for expecting to find him there. By way of contrast, “we tend to stick to interpretations for a given text that the human author of the passage could have meant and the human audience could have understood at the time”. As he looks at the topic of incarnation, he returns to a recurring theme that salvation is not something that Christ gives us; rather, salvation is Christ – he gives us himself. You cannot have salvation without having him. In the chapter on redemption, I was particularly struck by his discussion of death. In what sense is it possible for God to die? He explains that in the Bible, death is not about ceasing to exist. There is physical death – the separation of the soul from the body as the body ceases to function. And there is spiritual death – alienation from God as a result of sin. We are all born spiritually dead and inevitably headed for physical death. By becoming human Jesus was able to experience physical death, and by taking on our sin he was able to experience spiritual death. Viewed in this way, the resurrection can be seen as a victory over physical death, as Jesus’ soul is reunited with his resurrected body. And the ascension can be seen as victory over spiritual death, as Jesus is reunited back into the presence of his Father. This brings us to the final section of the book, exploring what it means to become and be a Christian. Becoming a Christian is more than just forgiveness – it is adoption – we get to share in the Son’s relationship with the Father. With all the emphasis on the Father-Son relationship up to this point, we may be wondering where the Spirit features in this take on theology, and in this section Fairbairn explains that the Spirit links us to the Father-Son relationship by uniting us to the Son. It is this relationship that is at the heart of salvation for Fairbairn. Yes, salvation does have a “legal” side – justification and the remission of sins. But it also has a “relational” side – redemption, reconciliation and adoption. And all of these only make sense because of our union with Christ. The Spirit’s ongoing work in the life of a believer is to enable them to live in a way that reflects the Father/Son relationship. Here Fairbairn makes a plea to evangelicals to take more seriously the importance of the eucharist (and emphasises the need to take it in community rather than privately). “In order to sustain life, one must eat and drink regularly, and likewise, in order to sustain spiritual life by remaining in Christ, one must spiritually eat and drink regularly.”. “If Cyril and the early church are correct here, then repeated, lifelong participation in the Lord’s Supper is central to one’s growing relationship to the Trinity, just as lifelong devotion to God’s Word, to prayer and to the indwelling of the Holy Spirit are central”. There are many other interesting points raised in the book, but I need to conclude this review. In summary this book provides a very fresh perspective on several familiar categories of Christian theology. With this approach, the Trinity is not just one of several doctrines to be believed by Christians, but the central theme that permeates through them all. In doing so he gives a great introduction to the thought of the church fathers, and why their concerns which often seem arcane to us are actually of great importance. There were a few places where I found it a little heavy-going, but overall I found it very stimulating and would recommend checking it out. Apologetics is a subject I rarely read books on. It’s partly because it feels like “cheating” to borrow someone else’s reasons to believe instead of thinking for yourself. But I think there is an important place for learning from those who have a particular expertise in defending the faith. This book is subtitled “How to help seekers and skeptics find faith”, and though I wouldn’t describe many of my work colleagues as “seekers”, “skeptics” would be a fair description of many of them. So I thought I would try this relatively short book to see if it provides some good pointers to enable me to share my faith more effectively. McGrath, a former atheist himself, is well placed to address the topic of apologetics. He has debated a number of prominent atheists as well as writing a number of books responding to their position. He has a scientific background, and wrote a major work some time ago on Scientific Theology (I reviewed a condensed version of it here). The book title, “Mere Apologetics” is of course evocative of C.S.Lewis’ classic apologetic work “Mere Christianity”. This is quite deliberate since McGrath devotes considerable attention to C.S.Lewis’ uniquely creative and multi-faceted approach to apologetics. I suspect that the writing of this book in some way formed part of his background research for a more recent publication of a biography of Lewis. McGrath begins with giving some background to apologetics. “Apologetics aims to convert believers into thinkers, and thinkers into believers”. Apologists have the task of defending, commending and “translating” the faith. He stresses the need for a tone of gentleness and respect and the vital importance of God’s sovereign work of salvation. Apologetics establishes and proclaims the plausibility and desirability of the gospel; evangelism summons people to enter into it and share in its benefits. Along the way he highlights a number of common apologetic mistakes, including the weaknesses of a purely rationalist approach to defending the faith. In particular he notes the challenges of defending the faith in a post-modern context. He understands that there are significant dangers in apologetics books that simply try to provide answers to difficult questions that can be memorized and regurgitated at the appropriate time. Instead he stresses the need to understand the question behind the question in order to give an answer that really resonates. An apologist needs to identify arguments that will carry weight with this particular audience, so different occasions call for different approaches. The heart of apologetics is not about mastering and memorizing a set of techniques designed to manipulate arguments to get the desired conclusion. It is about being mastered by the Christian faith so that its ideas, themes and values are deeply imprinted on our minds and in our hearts. Unsurprisingly given his background and experience, he does focus more on atheist objections than those raised by other religions or agnostics. There is an interesting but brief discussion concerning the “multiverse”, which is often used by atheists as a way to reduce the force of the cosmic fine tuning argument. This is something I would be interested in reading a little more on, as the multiverse has always seemed a somewhat contrived concept. Another fascinating topic was responding to Freud’s suggestion that belief in God is simply wish fulfillment – we want him to exist so we imagine he does. McGrath rightly points out that this argument can cut both ways, and is particularly ironic given Freud’s concept of the Oedipus complex. He stresses that not everyone’s objections are purely intellectual, and so apologists must be ready to show Christianity to be not just rational but exciting, wonderful, beautiful. He does give a few brief examples of how he answered particular questions, showing how he tried to tailor his response to the person asking the question. One particularly helpful feature of this book is that at the end of each chapter, a number of books for further study are listed. There were lots of very interesting looking options and I may try some of them if time permits. Overall I would say this books serves as a good introduction to apologetics, explaining what it is and how it should be done. Whilst he does touch on a number of particular issues that apologists deal with, there is not space to cover them in great depth, and in any case he explicitly doesn’t want to produce a book of model answers. McGrath does tend to assume his readers will be defending the faith in public meetings or debates, but there is much to be gained even if you most of your interaction with unbelievers is in informal settings. On a more general note, I think our culture is becoming increasingly ignorant of what Christians actually believe, and perhaps as a result, increasingly dismissive of our faith. In such a context it would be wise for all Christians to seek to improve their ability to graciously defend and commend the faith. This book would serve as a good starting point for someone who feels inadequately prepared for this task. In this book, Scot McKnight challenges evangelicals as to whether we have truly understood what the “gospel” is. He draws on the work of N T Wright and Dallas Willard, both of whom provide forewords. He claims that many evangelicals would be better termed “soterians”, since it is salvation, rather than the gospel, that we have placed the emphasis on. When we use the word “gospel” we assume it means something like “instructions for how to become a Christian”, when in fact what the Bible and apostles understood the gospel to be was something quite different. Most of evangelism today is obsessed with getting someone to make a decision; the apostles, however, were obsessed with making disciples. McKnight takes pains to reassure us that he has nothing against preaching the need for salvation and how to be saved (McKnight calls these the “Plan of Salvation” and the “Method of Persuasion”). But he thinks we have mistakenly equated this with the gospel and “evangelism”. So he takes John Piper to task for assuming that justification by faith is the gospel. Again, McKnight doesn’t want to disagree with justification by faith; he wants to show that it is not “the gospel”. I am convinced that because we think the gospel is the Plan of Salvation, and because we preach the Plan of Salvation as the gospel, we are not actually preaching the gospel. So what is the gospel, according to Scot McKnight? Well the short answer is that the gospel tells the story of Israel and how it is fulfilled in Jesus. The gospel only makes sense in the Bible’s story, and more than that, “without that story there is no gospel.” We need to understand the Old Testament story in order to understand the gospel. So, where does “salvation” fit into the picture for McKnight? Salvation flows from the gospel – it is the intended result of the gospel story. But it is not itself the gospel, and cannot be made to replace the gospel. He includes a fascinating chapter on how the early creeds reinforce this basic understanding of the gospel. Again and again you see the creeds including very 1 Cor 15 like summaries of the crucial events of the life of Jesus. It wasn’t until the time of the reformation that the creeds started to frame the gospel in terms of salvation (though he does not directly blame the reformers for this shift from “gospel culture” to “salvation culture”). McKnight then moves on to consider the teaching of Jesus. Did Jesus preach the gospel? Well if the gospel is all about Jesus, then to preach the gospel, Jesus would have to focus his message on himself, and on how he completes the story of Israel. And this is exactly what he does – he believed he was completing scriptural passages. the Gospels show a Jesus who unequivocally and without embarrassment nominated himself for Israel’s president. McKnight also makes the obvious but easily overlooked point that we call the four gospels “gospels” precisely because that is what they are. In telling the story of Jesus (and how he fulfilled the story of Israel), the “evangelists” are in fact proclaiming the gospel. The final piece of evidence McKnight brings to the table is a survey of the gospel preaching in the book of Acts. If to preach the gospel is indeed to tell the story of Jesus, then did the early apostles do that? A survey of Peter and Paul’s sermons reveal that yes, they did exactly that, showing how the events of Jesus’ life fulfilled the Scriptures. Jesus’ resurrection and the profound experience with the Holy Spirit at Pentecost led the apostles into a “hermeneutical revolution.” They suddenly had new eyes to reread and reinterpret the Old Testament from the perspective of the Story of Jesus. But now we get to our first real objection. What about preaching the gospel to Gentiles? Like most in our modern culture, they did not already know the story of Israel, so preaching Jesus as the fulfillment of it would be at best confusing. Surely we have to adapt the gospel to be comprehensible to those in our culture? Remember that the fundamental solution in the gospel is that Jesus is Messiah and Lord; this means there was a fundamental need for a ruler, a king, and a lord. much of the soterian approach to evangelism today fastens on Jesus as (personal) Savior and dodges Jesus as Messiah and Lord. gospeling declares that Jesus is that rightful Lord, gospeling summons people to turn from their idols to worship and live under that Lord who saves, and gospeling actually puts us in the co-mediating and co-ruling tasks under our Lord Jesus. Overall I would say I am in broad agreement with McKnight’s main thesis, that the Lordship of Jesus is central to the gospel and not a dispensable part. Despite never directly referring to it, this book is weighing in on the Lordship Salvation debate. But it also focuses on our evangelistic approach. McKnight is arguing for a change in tactics: “We need to regain our confidence in the utter power of proclaiming that one Story of Jesus”. And this is something I would like to see a lot more of in “gospel” presentations. I fear many forms of evangelism can bring people to “pray the prayer” without ever really appreciating that they are now expected to embark on a lifetime of following Jesus. One thing I think this book left hanging a bit was the initial claim that “If the gospel isn’t about transformation, it isn’t the gospel of the Bible.” His argument is that recovering the King Jesus Gospel will make disciples rather than converts, but he fails to flesh out exactly how this will happen. The Lordship of Jesus is the right foundation to base discipleship on, but there must also be practical guidance and support in order to see this worked out in daily life. This short book seems to be doing the rounds within TNOCFKANF (the network of churches formerly known as newfrontiers). Newfrontiers churches typically hold to a “complementarian” position, believing that Scripture teaches that only men are appointed as elders, whilst all other ministries remain open to women. By contrast “egalitarians” (and there are many I know of within newfrontiers churches) disagree that any role should be restricted to men. But leaving aside the question of “office”, should a “complementarian” church, one that holds to male eldership, allow women to preach? The traditional answer has been no, based largely on 1 Tim 2:12, but an increasing number of complementarians are questioning that interpretation. And this is the position that John Dickson argues for in this book. His thesis is that whatever roles women may or may not be excluded from (he remains complementarian with regards to church government), preaching is not one of them. The basic premise is that we have falsely equated the Greek word translating “teach” (διδάσκω) with our own concept of a Sunday morning sermon. We assume that anyone “preaching” must necessarily also be doing what the NT calls “teaching”. However, Dickson understands διδάσκω to mean a very specific type of activity unique to the first century context. Therefore, 1 Tim 2:16 is not relevant to the question of women preaching at all. Essentially we could say this is a cessationist argument (making it ironic that it has been so well received in newfrontiers circles). “Teaching” has ceased, in much the same way that many non-charismatic evangelicals are happy to say that “prophecy” has ceased, or that the ministry of an apostle is no longer for today. So if “teaching” is not preaching, what is it? According to Dickson, “teaching” was the passing on of the oral traditions including the stories of Jesus and apostolic doctrines, which was critical during the time before the New Testament books had been written. This did not involve applying or expounding these traditions, instead the “teacher” was an authority on what did and did not form a part of this essential deposit of faith. Once the New Testament was available in written form, this role was no longer necessary, and the church’s role was simply to expound the contents of Scripture. To a certain extent I am able to agree with this idea. Of course, passing on these oral traditions must have been an important part of the early church. And διδάσκω would be a perfectly good word to use to describe this activity. But I am not convinced that the word “teaching” can be so narrowly defined. If you take the trouble to do a word study of all instances of this word in the New Testament (which I did), you will see that it is used in a very broad variety of contexts. Even if you grant that Paul has his own special meaning for διδάσκω that others (e.g. Matthew, Luke, James) do not share, I find it hard to interpret every instance of διδάσκω found in Paul in such a technical sense. Another problem is that by excluding what we call preaching from the semantic range of the word διδάσκω, Dickson needs to find another word that does mean preaching. He picks παράκλησις, sometimes translated “exhorting” (e.g. Rom 12:8), although this word is more often translated as “comfort/encouragement”. Again, I would agree that this word does seem to be used for sermons, but I’m not persuaded that these words can be so neatly divided into categories. The trouble with making παράκλησις into the word for preaching is that, assuming Paul considers preaching a vital element of church life, he doesn’t seem to mention παράκλησις nearly enough. For example, Paul forgets to mention “exhorters” in the classic list of Eph 4:11 ministries. Nor do they get a look-in in 1 Cor 12:28-29. Dickson’s solution at this point seems to be by equating prophesying with preaching (once again opting for a common non-charismatic argument). Another thing you notice looking through uses of the word “teach” is that it often appears in a pair. The apostles were commanded by the Sanhedrin not to “speak” and “teach”, (Acts 4:18), but they carried on “teaching” and “preaching” both publicly and privately (Acts 5:42). Timothy is to “command and teach” (1 Tim 4:11), and to “teach and urge” (1 Tim 6:12). I suppose Dickson could claim that this supports his thesis – making “teaching” a distinct activity from the “preaching/urging/speaking” which would happen subsequently. But I see these verses as using two words that describe different elements of the same speech act. In other words, when someone preaches they are also speaking, teaching, encouraging, exhorting, commanding and urging. In summary, whilst Dickson’s argument is an interesting one (and one that perhaps bears a second reading), I think it creates more problems than it solves, and is exegetically unconvincing. But I will finish with one thing that impressed me about Dickson’s approach. From start to finish, this is an argument based in Scripture. He does not attempt to bolster his arguments with examples of great women preachers, or make accusations against the motives of those who disagree with him. Instead he attempts to prove his point solely from Scripture, and for that, I applaud him. Egalitarians will doubtless be pleased with his conclusions, but I suspect they too may have their reservations about how he got there. Postscript: In case you are wondering where I stand on this issue, I would describe myself as a complementarian open to persuasion. Most complementarians agree that it is sometimes acceptable and appropriate for a non-elder to preach. And so the ever-contentious 1 Tim 2:12 remains the main obstacle to me accepting Dickson’s conclusions. Anyway, let me know in the comments what you think. Do you accept Dickson’s argument? Egalitarians, what do you consider the best treatment of 1 Tim 2:12? I attended sixth form college in Luton, where roughly a third of the students were Muslims. It meant I made a lot of Muslim friends and had interesting debates with many of them. But since moving away from Luton I must confess that I have had very little contact with Muslims. However, recently an opportunity came up to debate some friends of a Muslim we know, and hear their objections to Christian beliefs. It made me realise that my own knowledge of Islam and its beliefs was fairly limited, so I looked around for a good introductory book. This one was suggested to me so I got the Kindle edition. The first section simply aims to give you a basic introduction to the history and beliefs of Islam. It’s a good overview, although there were places where I wanted more information (for example, what were the prevailing religious beliefs at the time of Mohammed – were people Christians, or pagans?). One of the things he stresses is the diversity amongst Muslims, and gives some good questions you can ask to find out more about the views and culture of your own Muslim friends. He explains their view of Jesus, who they hold in high regard as a prophet, although obviously reject the Christian claim to his divinity. The second section of the book is focused on helping you connect with Muslims. In particular, he wants to help Christians get over the “fear factor” and show welcome and acceptance towards your Muslim friends. The third section of the book gives some suggestions for studies and talks you can use for sharing the gospel with Muslims. Some of these are essentially summaries of talks that Chatrath has given himself on different occasions. I don’t think I would attempt to reproduce these talks myself, but it is helpful to get some ideas of approaches that he has found effective. A number of the Bible studies start with characters that Islam also recognises as prophets, such as Adam and Moses. The fourth section deals with some “hot potato” issues, such as whether Christians should call God “Allah” or eat halal meat. There is some helpful advice on when baptism should happen for converts from Islam. Whilst this is a short book, it is an excellent starting point for those who have Muslim friends and want to understand how they can reach out to them with the gospel. Another useful feature of this book is that it has a good list of resources that you can read to go further, which is something I would like to do if time permits.